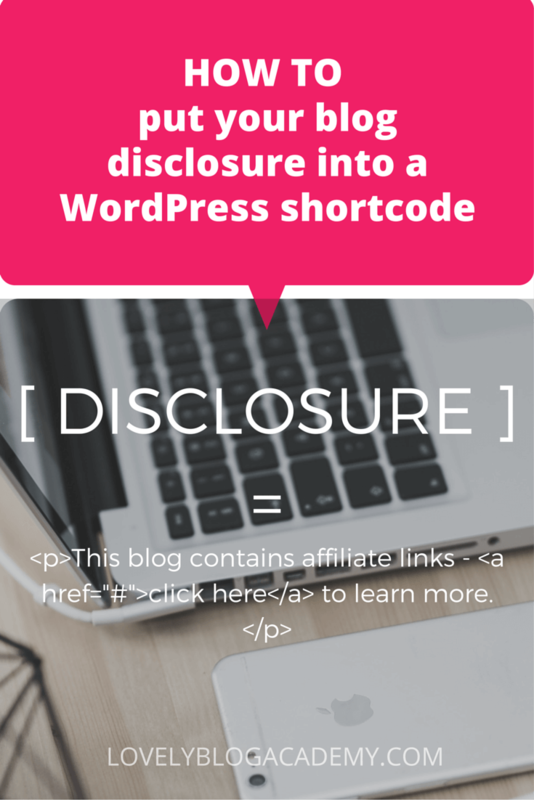 Save time by putting your blog's disclosure into a shortcode! 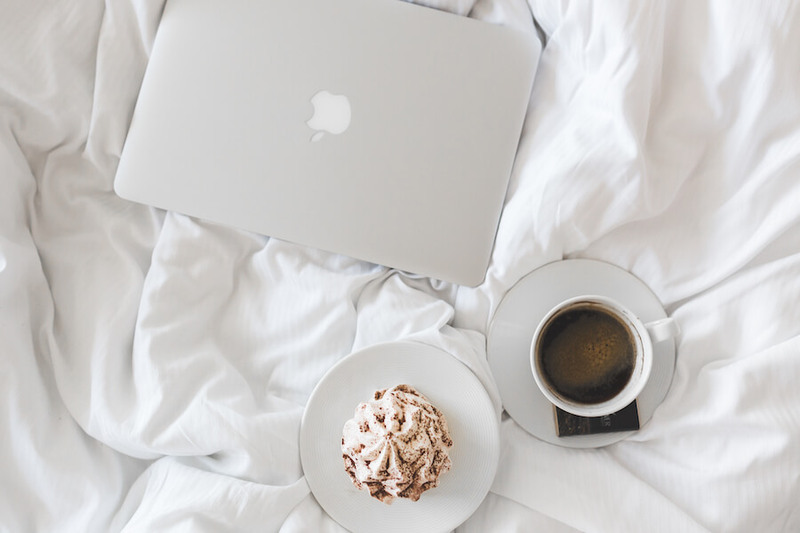 Do you regularly add disclaimers and disclosures to your blog posts for sponsored posts, product reviews or to denote the use of affiliate links? And do you use WordPress? If you’ve answered yes to the questions above, we’re going to show you how to add turn that disclosure into a reusable shortcode. Why put my disclosure/disclaimer in a shortcode? That’s much easier to remember, right? For this example, we’re using an disclosure to show readers we use affiliate links on the page. You can customise this easily to output your message of choice – we’ll explain how below. Open your theme’s functions.php file. Create a backup of the file first and keep it somewhere safe. Then paste in the following code (I usually paste at the bottom of the file). This registers a new shortcode with WordPress called “disclosure”. When you use the new shortcode it will output your disclosure and a link to your disclosure page. To edit the wording, change the text between <p class='disclosureLBA'> and </p> (e.g. “This is a sponsored post. Learn more.”). Swap "http://YOURDISCLOSUREPAGE.com" for the URL to your site’s disclosure. Simply paste the shortcode [disclosure] into your next blog post. Easy! If you run both sponsored posts and affiliate links, you may want to use TWO different shortcodes, each outputting different wording depending on the type of content you’re publishing. That’s easy to do. You’ll then use [sponsored] in your content to output the new disclosure. Once again, customise until you’re happy with the output. If you need to create MORE disclosures, change the function name spon_disclosure to something of your choosing. Make sure to replace both instances of it in the code. Rename your shortcode (where it says ‘ sponsored ‘ in the last line) to something else too. There’s no limit on how many shortcodes you can add to WordPress, so add as many as you require! Easy peasy. Now head over to Appearance > Widgets and your shortcode into a text widget. Done! This was really helpful. I was trying to add multiple disclosures and kept getting stuck. Appreciate the tips. I am pleased the tutorial helped. Awesome post! I just used it to create my disclosure and it was so simple. Thanks!